Regular meeting for recorder players, with guest conductor Frances Feldon. Newcomers welcome. Bring recorders, stand, and other early instruments. Music provided. Refreshments. “Classicism at the Crossroads” Come away to Vienna in the dawning decades of the 19th century, as late fruits of Classicism ripen alongside early blossoms of Romanticism. 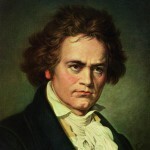 Beethoven is inspired to pen his only violin concerto, and young Franz Schubert is poised on the threshold of his supple mature style as Vienna verges towards full-flourishing Romanticism. Please note: Scheduled violin soloist Rachel Barton Pine was forced to cancel her appearances with PBO while she recovers from an unscheduled medical procedure on her knee. 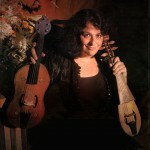 Alana Youssefian will step in to perform Beethoven’s Concerto for Violin in D major (Op. 61) in place of the previously programmed Clement Concerto for Violin in D major. Other works on the program include Mozart, Overture to The Marriage of Figaro, and Schubert, Symphony No. 6 in C Major. Just in time for Valentine’s Day—our annual tribute to the heart this year reaches back to the 15th century. 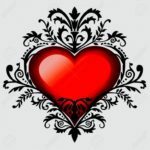 “To love another—would humiliate my heart,” sings the devoted lover in Johannes Ockeghem’s famous “D’ung aultre amer,” evoking the power of love to captivate, nourish, and, on occasion, destroy. Love can be earthly and sensual; it can also be spiritual and divine, as when a Biblical figure is cast as the object of desire. “To Love Another…” will feature music of both romantic and spiritual intensity. Founded in 2003 by Rodin, Associate Professor at Stanford University, Cut Circle specializes in late medieval and Renaissance choral music. In 2010 the ensemble received the Noah Greenberg Award recognizing outstanding contributions to historical performance practices. Cut Circle has also received the Prix Olivier Messiaen, Editor’s Choice (Gramophone) and a Diapason d’Or for its recent recording of Du Fay masses. The ensemble’s current recording projects include a double album devoted to the complete songs of Ockeghem. Rodin prepares new editions of all the music Cut Circle performs. 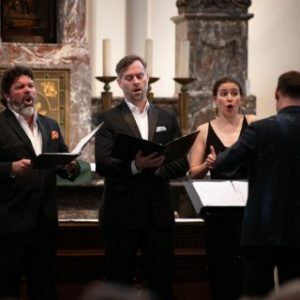 The ensemble, making their SFEMS series debut, aims to recapture the gritty, intense experience of singing early music. They commit to the music emotionally and physically, embracing confident singing, gripping contrasts, and energetic tempi. Read more . . . Please note different days, times, and venues for these performances. Monthly meeting, guest conductor Shira Kammen. New members and guests welcome. 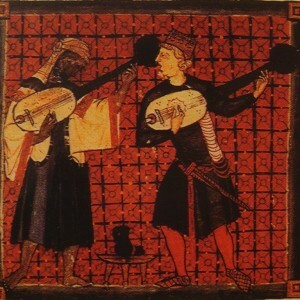 Bodhi Tree Concerts North and the Unitarian Universalist Church of Palo Alto present “Music of Al-Andalus, Islamic Spain 700–1400 A.D.” Come and experience this remarkable excursion into the music of Al-Andalus—Islamic Spain from the 8th through 15th centuries. This period was noted for an incredible diversity of cultures, religions, beliefs and customs, all of whom co-existed peacefully and thrived together for centuries. The members of 7 degrees Ensemble (formerly Trîada) Kurt Gramckow (oud), Claire MacKenzie (voice, daff), Ali Paris (qnn, voice), and Taryn Rosenquist (violin) see this as a hopeful model to be emulated and nurtured in these divisive times. They believe, as does Bodhi Tree Concerts North, that music is a powerful connector of peoples, and their mission is to introduce audiences to classical and traditional repertoire which reveals a common musical ancestry and kinship shared around the globe. 100% of profits from this concert will go to benefit Zawaya, a San Mateo based non-profit whose mission is to preserve, produce, and promote Arabic Arts in San Mateo County and the larger San Francisco Bay Area. Their vision is to achieve intercultural solidarity, respect, and understanding through the universal languages of music and the arts. Vajra Voices – known for their “heartfelt elegance and spiritual fervor” (San Francisco Chronicle) – present a program of medieval and renaissance music created by and for women. Highlights of this journey into women’s song include music and poetry created by the 12th century mystic and abbess, Hildegard von Bingen; and span into the intricate 16th century polyphony attributed (recently) to Leonore d’Este. Featured on the program are solo monody, 2-part sequences, and 3-part polyphonic conductus found in the Codex Las Huelgas de Burgos (circa 1300). It is thought that the music in Las Huelgas (Northern Spain) was for performance by the 100 women who resided there. Vajra Voices’ artists are Phoebe Jevtovic, Allison Lloyd, Amy S. Hunn, Celeste Winant, and music director Karen Clark. A reception will follow the performance. 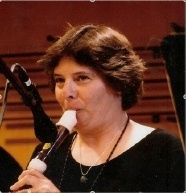 “From Old to New/An in-depth study of medieval, Renaissance, baroque and modern music for recorders focusing on a representative selection from each period,” a workshop for intermediate to advanced recorder players, directed by Frances Blaker. The recorder has one of the most extensive repertoires of any instrument played today, going back to at least the late 13th century, and probably earlier, all the way up to the present day with only a 150-year gap from around 1750 to 1900 when the instrument lay dormant. Each period has its own musical style, aesthetics, compositional procedures, melodic and harmonic progressions as well as tuning systems; and each is under the broad influence of very different philosophies: scholasticism, humanism, the Enlightenment and the multiplicity of philosophies that have influenced our thinking over the past one hundred years or so. 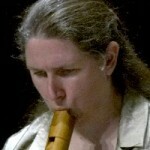 In order for recorder players to competently manage such a diverse body of music means that they must have at least a general idea of what distinguishes one period from another and how that translates into their playing. That will be the goal of this workshop. The large historical span will bring great variety to the workshop’s repertory, which will range from vocal to instrumental forms, from modes and counterpoint to tonal harmony and beyond. Some pieces will be easy to play, yet always absorbing and interesting, while others will be more challenging. 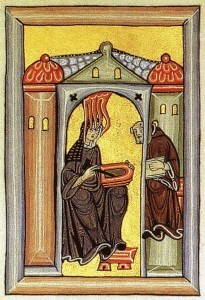 Hildegard von Bingen, Ciconia, Josquin, Parsons, and Handel are some of the composers featured. Please plan on bringing a music stand and a lunch. Snacks and beverages will be provided. Advanced registration is encouraged as space is limited. For further information or to register for the workshop please visit http://mpro-online.org/ or contact Chantal Moser at 408-972-4998. 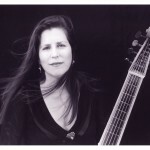 The Festival’s 46th Season opens with “The King of Instruments in the Age of Bach.” Regarded as the noble instrument of Kings and Queens, the lute, a plucked stringed instrument, rose from its medieval and Renaissance roots to its greatest development and appreciation during the High Baroque in Germany. 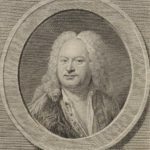 Silvius Leopold Weiss, J.S. Bach’s contemporary and friend, had command over all other lutenists and lute composers. Our opening offers seductions and guilty pleasures for 13-course High Baroque lute by Bach, Weiss, Adam Falckenhagen and Johann Kropfgans. Monthly viol consort playing with guest coach Amy Brodo. Players of all levels welcome. Newcomers please phone ahead. Faythe Vollrath performs an exciting concert of new repertoire for solo harpsichord. Program includes Emma Lou Diemer, Toccata; Vladimir Tošić, Spinal Toru Takemitsu, Rain Dreaming; Lou Harrison, Sonata for Harpsichord; Jan Pietersoon Sweelinck and Elinor Armer, Variations on “Mein junges Leben hat ein End;” and Sunny Knable Keeping Faythe. 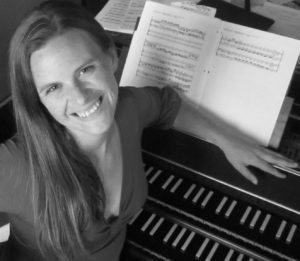 Faythe Vollrath, hailed by the Wall Street Journal for her “subtly varied tempo and rhythm that sounds like breathing,” proposes an exciting concert of new repertoire for solo harpsichord. Viewed primarily as a baroque instrument, the harpsichord also occupies an important niche in compositions of the twentieth and twenty-first centuries. Whether invoking rain in works by Toru Takemitsu, exotic sounds in Lou Harrison’s Sonata for Harpsichord, or wild dancing in a piece by Sunny Knable, this is an experience you won’t want to miss! $2 discount when purchased online!